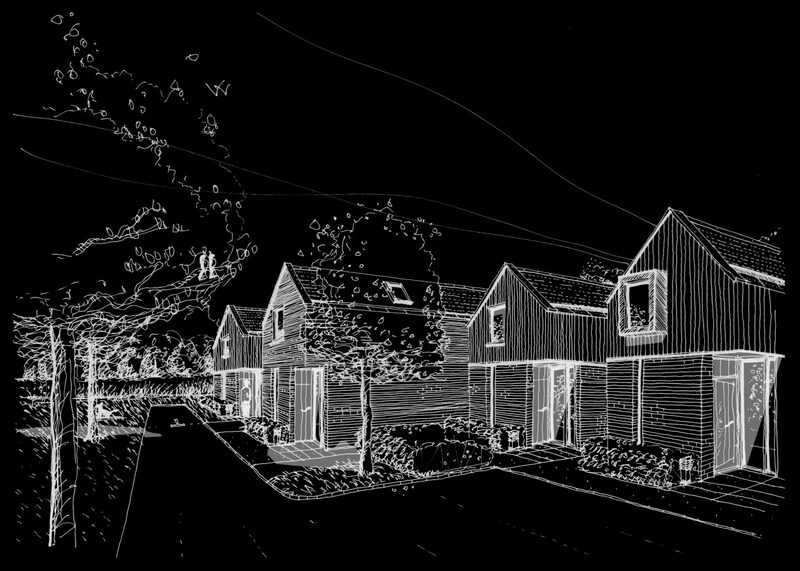 Hewitt Studios are pleased to have gained an outline planning consent for a socially responsible development near Tewkesbury, which includes provision of 11 new low-energy houses, 5 of which are affordable dwellings that will become available to the local community. The scheme sees detached dwellings of various sizes, linked together by carports, around two informal landscape courtyards. The proposed houses adopt a ‘one and a half’ storey section, with the upper floor occupying the roof void; this arrangement helps to reduce the scale and visual impact of the dwellings, whilst maintaining the steep 45 degree roof pitches characteristic of the local area. The landscape design incorporates a series of communal and private orchards are planned across the site, tying the development into unique characteristics of the local landscape. Hewitt Studios’ Limpley Stoke Eco House is featured in issue 19 of Legnoarchitettura – the Italian architecture magazine. The latest edition of the timber-centric publication also features projects by the likes of Kengo Kuma and Alejandro Soffia. Our innovative ‘zero-carbon’ house is the subject of an in-depth 14-page article. We are delighted to have received planning permission our new renewable energy and engineering Skills Centre at Berkeley Green with South Gloucestershire and Stroud College. 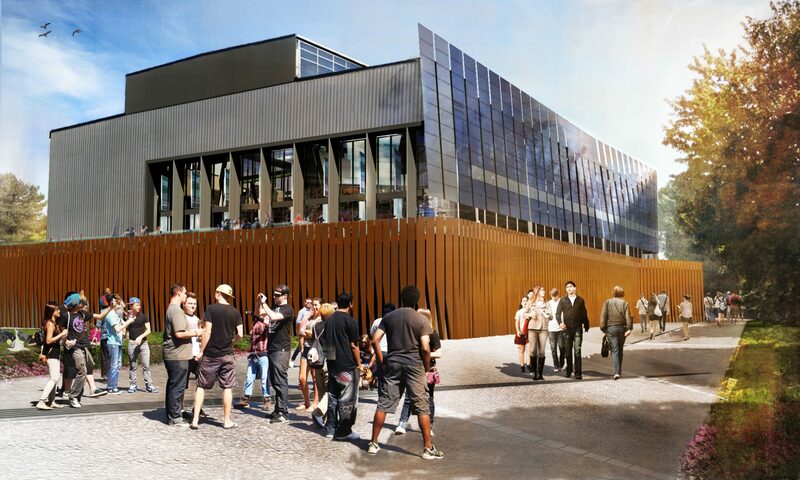 The project starts on site in the summer with a rapid 12 month construction programme targeting completion in September 2016. 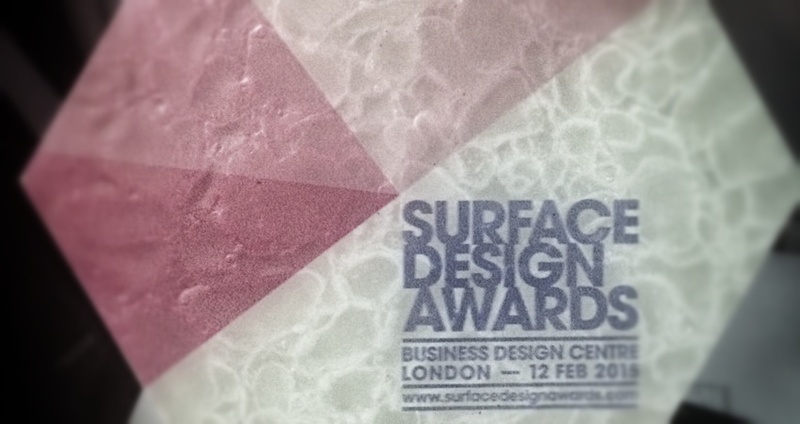 Earlier today our Arts Space for Hereford College of Art was awarded the 2015 Surface Design Award for Best Light and Surface Exterior. Big thanks to all involved, particularly our colleagues at The Lighthouse Design Partnership with whom we developed the unique ‘pianola’ facade lighting scheme. It builds on our interest in creating dramatic, hard-working, surface finishes within our environments; such as the high-performance textile acoustic panels we have developed within the practice. 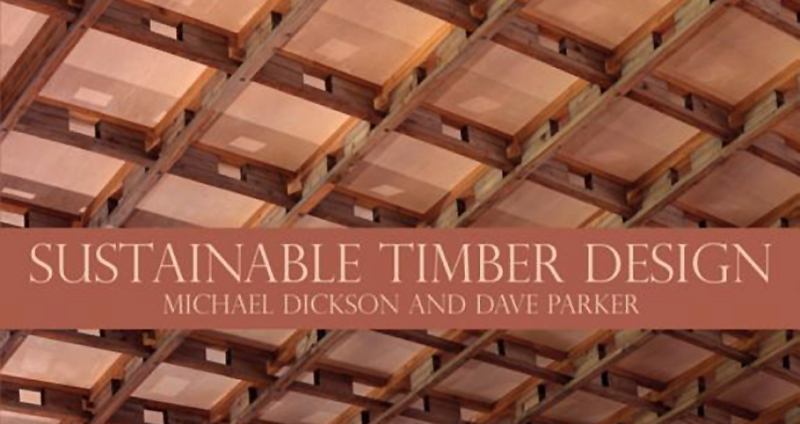 Our Arts Space for Hereford College of Art is featured as an innovative case study in a new book entitled “Sustainable Timber Design” by Michael Dickson and Dave Parker. This new resource covers the material selection, structural design and connections detailing of timber buildings – presenting the essential design principles involved in the creation of elegant, user-friendly timber buildings that are practical, economic, and thoroughly sustainable. 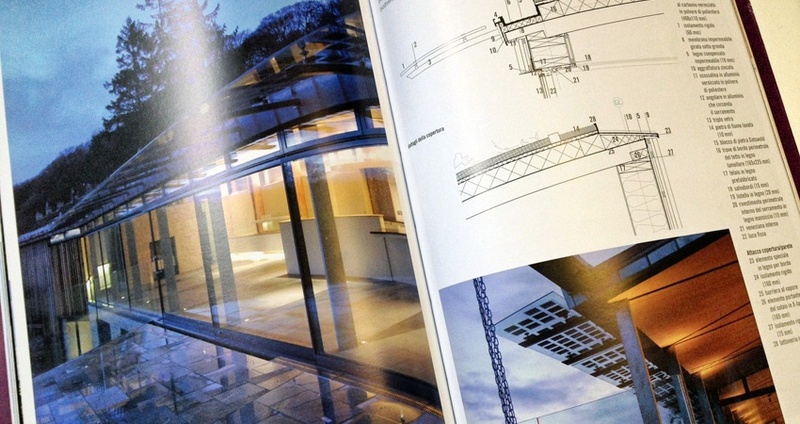 Designed to support specialist study into the benefits of 21st Century timber engineering, this book also offers architects, engineers and other construction professionals practical advice on all aspects of modern timber design. We are delighted to have been crowned Sustainability Architect of the Year 2014 at last night’s packed Architect of the Year Awards ceremony at The Brewery in London. The event was hosted by actor Stephen Mangan and a collection was held to raise money for Article 25 which designs and builds projects in areas devastated by natural disasters. 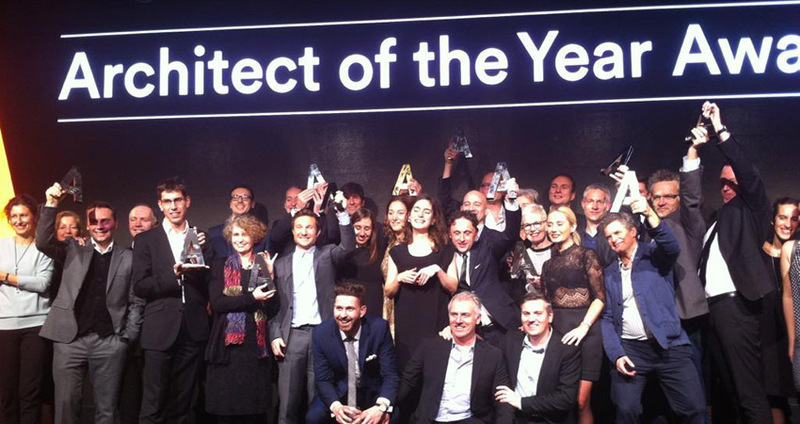 A big thanks to all our clients, colleagues and collaborators who have made this possible! 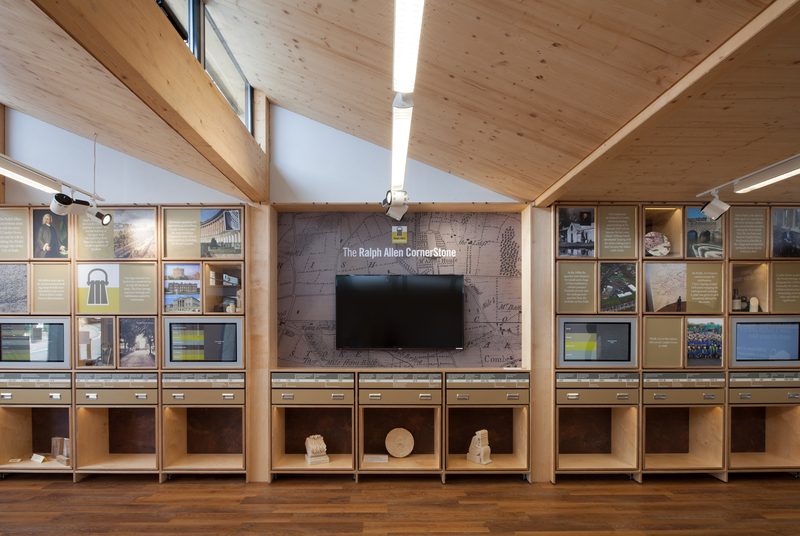 Our Ralph Allen Yard project, incorporating the Cornerstone Museum and Community Centre, is a regional finalist in the 2015 Civic Trust Awards. The awards are given to projects that make a significant contribution to the quality and appearance of the built environment. Commendation level schemes demonstrate a good standard of architecture or design, sustainability, inclusive design and provide a positive social, cultural, environmental or economic benefit to the local community. Winners will be announced in Spring 2015.